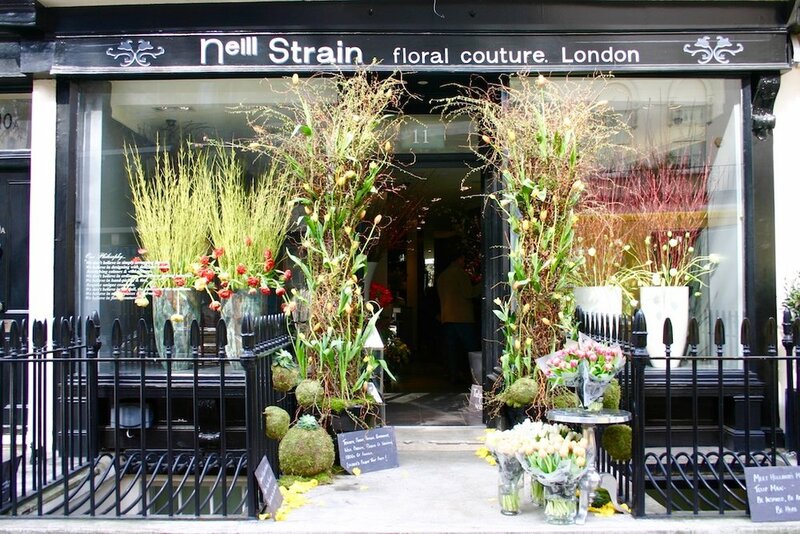 With the arrival of the new year 2018, Neill Strain Floral Couture celebrates ten years of business in Belgravia since the opening of the first boutique in 2008. In this blog post Neill remembers the company's impressive achievements of 2017 including the opening of the Harrods concession while comemmorating its 10th year anniversary. For me and my team, the start of every new year comes with a focus on the preparations for Valentine's Day and the construction of our floral heart. Each year we change and develop the design and I was particularly pleased with our installation in 2017. Of course, we are now working on our 2018 design... something a little different maybe for our 10th year anniversary. 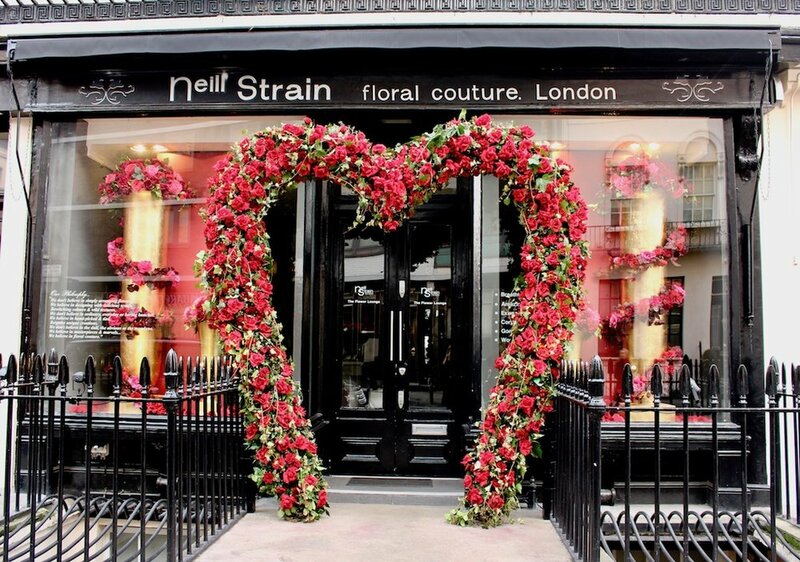 The floral heart installation at Neill Strain Floral Couture is one of London's most photographed venues for Valentine's Day. It was for Valentine's Day 2017 that we launched for the first time our online ordering service. 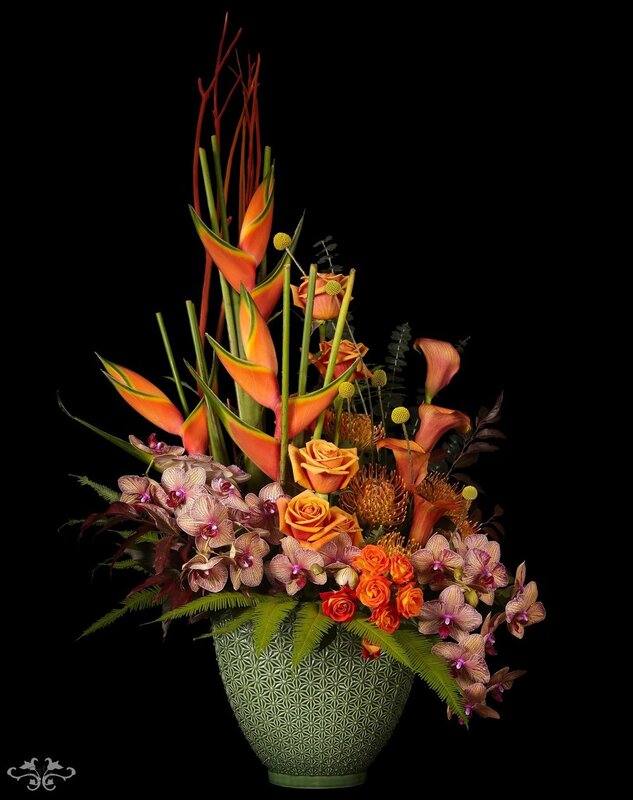 Throughout the year, we create seasonal designs to make up the Spring, Summer, Autumn and Winter Collections which also include bouquets and arrangements especially for the important annual celebrations such as Christmas and Easter, Valentine's Day, Mother's Day, Halloween and Thanksgiving, to name a few. While working on our Valentine's Day preparations, we also drew up and created equally romantic designs for our first Brides' Magazine Belgravia bridal show. 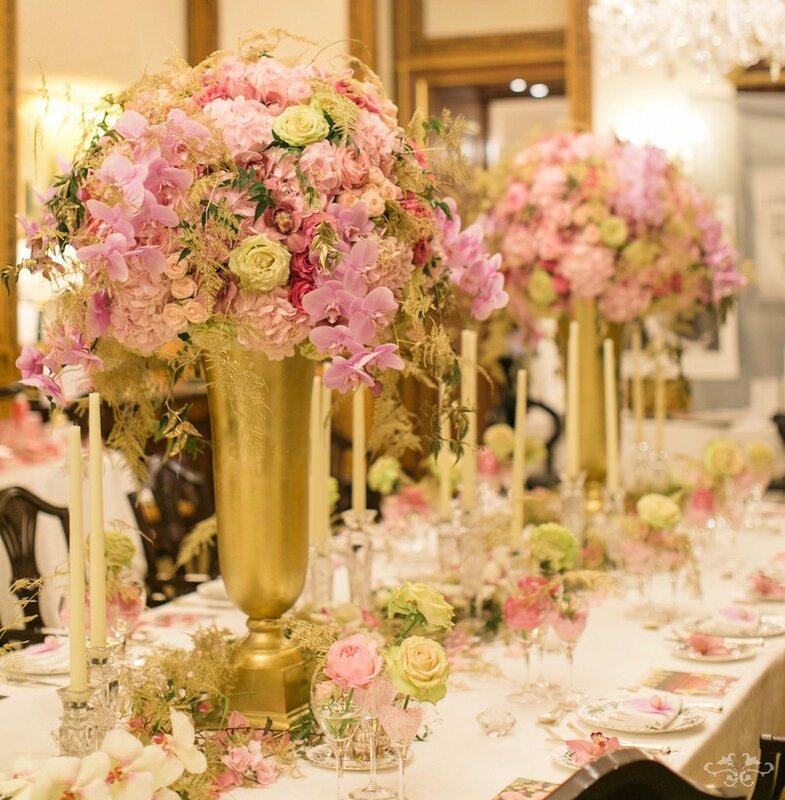 On the 16th February, a select group of wedding suppliers with boutiques and businesses in Belgravia gathered at the Lanesborough Hotel to welcome future brides with a glamorous fashion show, champagne and canapes. Our fairytale table display, exquisite bridal bouquets and pure "wow" catwalk decor won the hearts of many brides and guests. The 2018 Belgravia bridal show, where we will again adorn the Lanesborough Hotel with our romantic designs, will take place on January 22nd. All brides are welcome and can book tickets here. In springtime, when the Garden Squares of Belgravia are looking their most beautiful, we are always very busy at the boutique, with International Women's Day, Mother's Day, Easter and many other celebrations. At this time, inspirations, research and creativity were in full bloom for our Chelsea Flower Show preparations, and, in addition to all this, the extensive work for the opening at Harrods had also begun. In conjunction with Chelsea Flower Show, every year we host a showcase of a single flower variety at our Belgravia boutique. 2017 was no exception and we created an extensive exhibition of rare, old and new Hydrangeas including cut stems and plants from our Dutch suppliers, renowned breeders, Kolster, and growers, Sonneveld. In March, I took some of my team to participate in the research and select the blooms for "Hello Hydrangea!" at both Kolster and Sonneveld. These visits are not only an extraordinary learning experience, but quite inspirational. 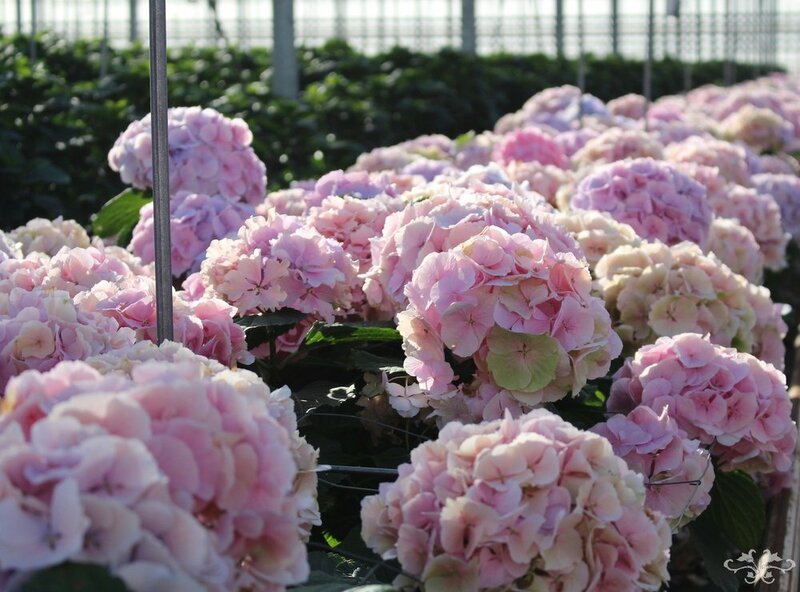 Visiting Hydrangea breeder, Kolster, in Holland. 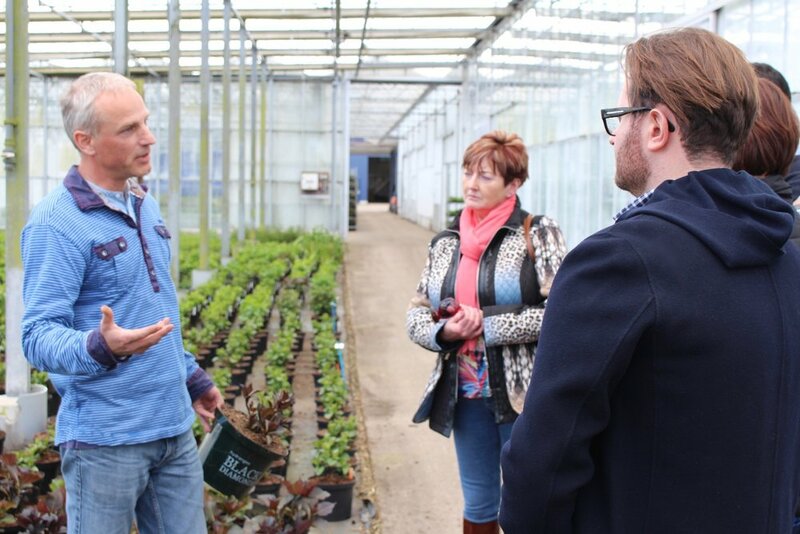 And visiting Sonneveld, Holland's largest and most admired cut Hydrangea grower. Jungle themed display for the Jumeirah Carlton Hotel won a Gold award in "Chelsea in Bloom"
The highlight of our work for RHS Chelsea was hosting our own launch party with a Wizard of Oz theme at the boutique. With magical cocktails and canapés inside where a yellow brick road of flowers adorned the ceiling, the party was animated by two "witches," one ballet dancing and the other playing her violin including of course the iconic song "Somewhere Over The Rainbow." July 21st 2017 is a date I will never forget. Opening the concession at Harrods, the most perfect place for me to showcase the extraordinarily rare and high quality of flowers that I've managed to source after years of research, and the inspirational designs that I adore to create with my team, was more like a personal reward for the dedication, passion and hard work I have put into my business. 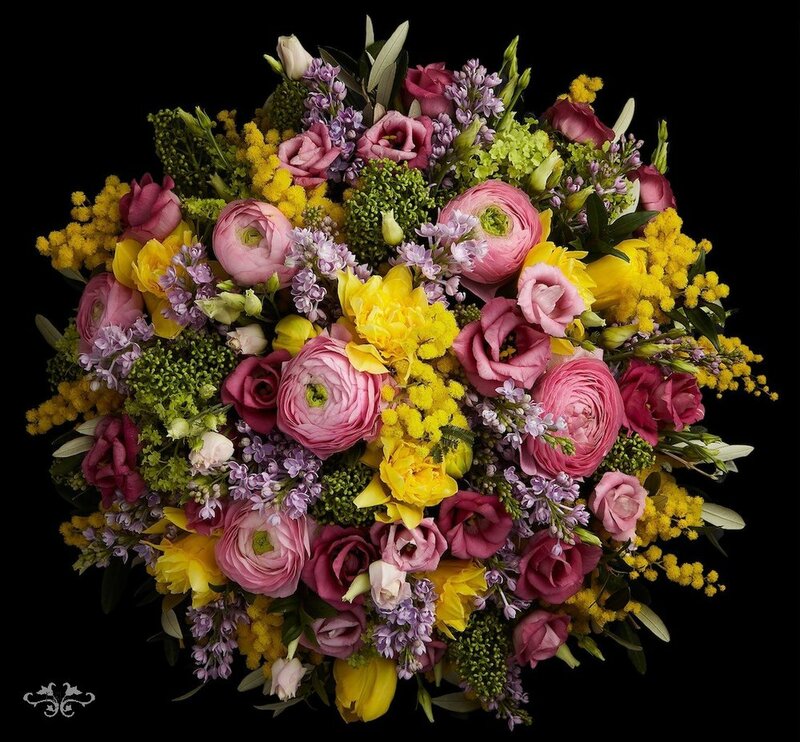 Having both the Belgravia boutique and the Harrods concession provides a privileged platform for me to express my pure love and emotions for the beauty of flowers to clients who feel the same way. My growers, my team and myself, we are all exilirated by this opportunity and take so much pride in offering the most exquisite flowers available in the world today. No sooner are we into the Autumn season, one of my favourites for the richness of the flowers, fruits and berries, than Christmas and Thanksgiving arrive. Our Christmas exterior installation this year followed a traditional red and gold theme including three-tiered topiary trees crafted with this season's trend of faux flowers. We will soon find out at the Grosvenor-hosted Belgravia awards whether we have been awarded a prize in this year's "Belgravia Christmas Windows" competition. In any case, the past few weeks have been exceptionally busy and rewarding with magnificent home styling installations, party decor and literally dozens of Christmas tree designs including a 20-foot beauty at St. Paul's Knightsbridge lavishly decked in sparkling gold with touches of red and green. 2017 was the first year we offered Christmas decor online with local and nationwide deliveries and our Christmas Collection along with an exclusive wreath for Harrods has been highly acclaimed. Undoubtedly, 2017 has been a fabulous year. Yet 2018 marks our 10th year anniversary and we have more exciting projects planned for such an important celebration, starting with our new contract at The Jumeirah Carlton Hotel as of January 5th. 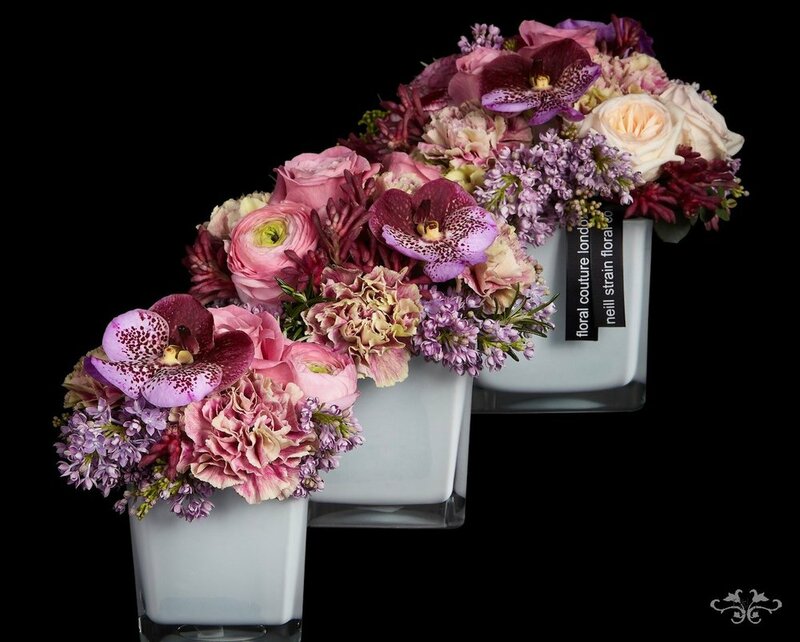 Keep following us on social media as we share the extraordinary life of a luxury florist in the 21st century. Warmest wishes to you all for a happy, healthy and hugely successful New Year 2018.